Born in Marseille in 1977, the French-Malian Daouda Coulibaly questions the place of West Africa in its relationship to the rest of the world. He explored themes such as recent history or cultural identity in his widely screened and awarded short films 'A History of Independence' (2009) and 'Tinyè So' (2011). 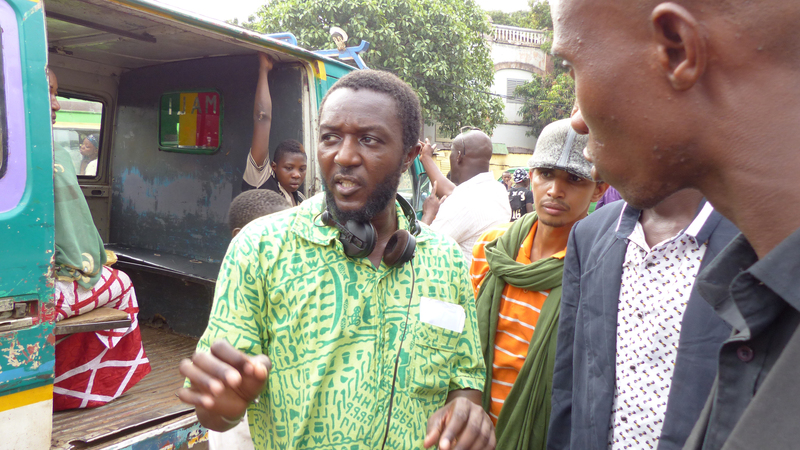 With ‘Wùlu’, his first feature film, he is asking what were the origins of the crisis in Mali in 2012. Ladji, 20, works hard in Mali as a bus driver, to get his older sister, Aminata, out of prostitution. But when he doesn’t get the promotion he was expecting he decides to contact Driss, a drug dealer who owes him a favour. Assisted by his two mischievous friends, Houphouet and Zol, Ladji begins trafficking cocaine from Conakry to Bamako. His rapid rise to the top of the drug dealing underworld gives him easy access to money, women and a life that he had never dreamt of. But the price he has to pay is high. With a universal character like Ladji, the film is a story of a young man fighting against the values of the society in which he lives.